Lately I’ve been asking myself whether it is worth it to take some time off to do drawing and illustrations each day (amateurish ones of course). Shouldn’t I be focusing on some other priorities such as trying to make more income for my upcoming graduate studies, or spend more time studying and understanding the professional field I’m heading into. However, browsing through the various artistic community and seeing everyone constantly producing such beautiful artwork has definitely spark my envy at this craft. I realised that if I ever want to achieve that level of consistency and dedication to this hobby, I need to practice, and practice, and practice, and practice. I justified that this time for drawing is time well spent, because I feel relaxed and happy when colouring and building pictures with simple lines. Starting with the basics again, I refer to the second lesson from the doodle book that teaches how to draw human portraits – Shapes and faces. Emotion and facial features can be a daunting thing to capture when drawing portraits. 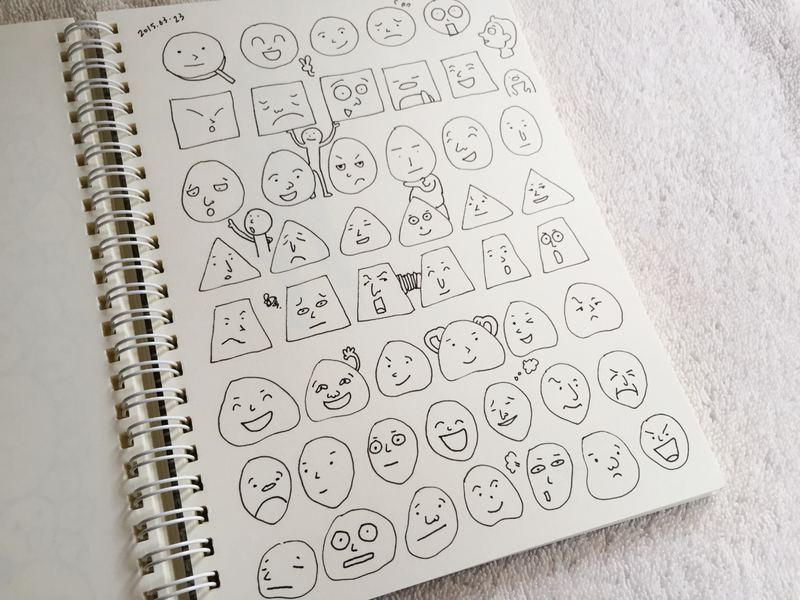 So the book starts on a easy-going level of simply creating comic-like expressions on different shapes. It asks me to fill up the page with bold drawings, so I decided to go one step further and practice more than it instructed. In this practice, I definitely drew some expressions that I’ve never tried before. 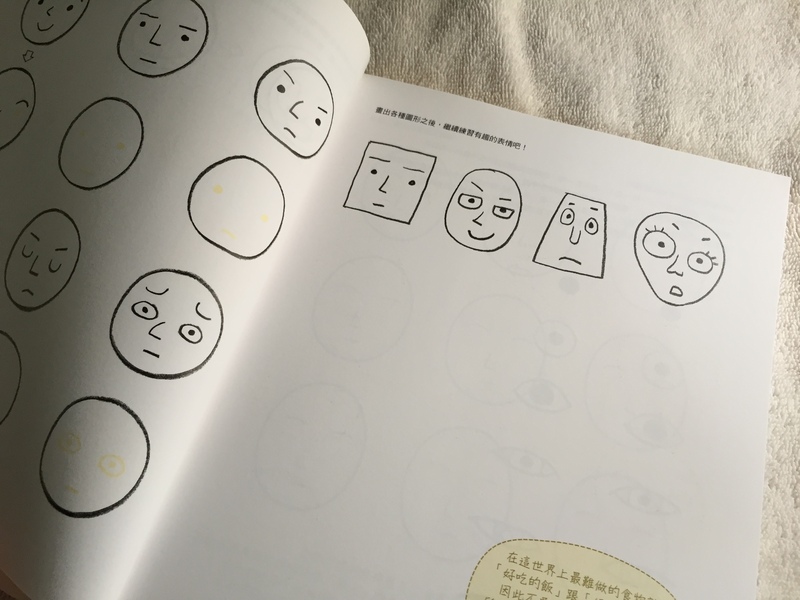 The main lesson here is that the position of eyes, nose, and mouth can make a huge difference on expressiveness. Plus, I snuck a few of my penguins into the array of faces. What do you think? 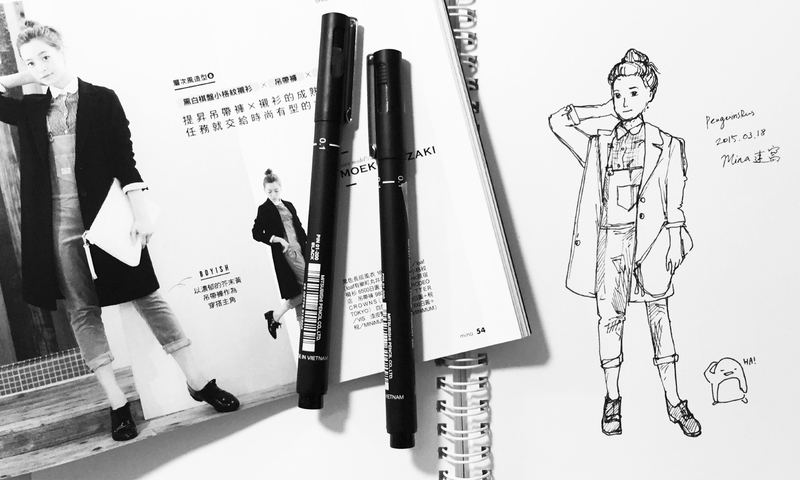 Try this exercise out in your own sketchbook! Did another portrait practice sketch by drawing a model in the magazine. Again, I made a mistake of not using a pencil to sketch first, therefore I drew most of the lines by instinct and at-the-moment adjustment. In the end, the whole body proportion is not…quite..right…? Plus the relaxed hand position in my drawing just looks as if the girl had a sore neck lol! 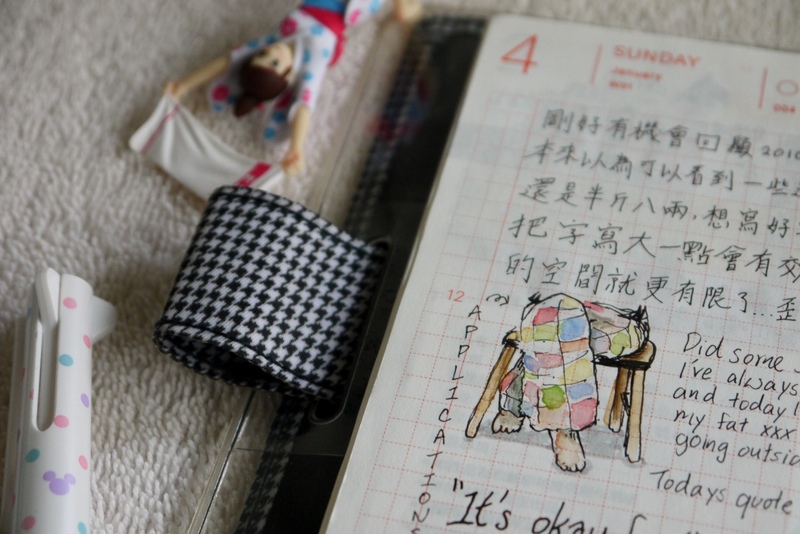 It feels really good to start off the new year by art journaling in the Hobonichi. The format of the Hobonichi Techo and the constant reminder to put in something wonderful each day really helps give a sense of purpose in keeping this journal. 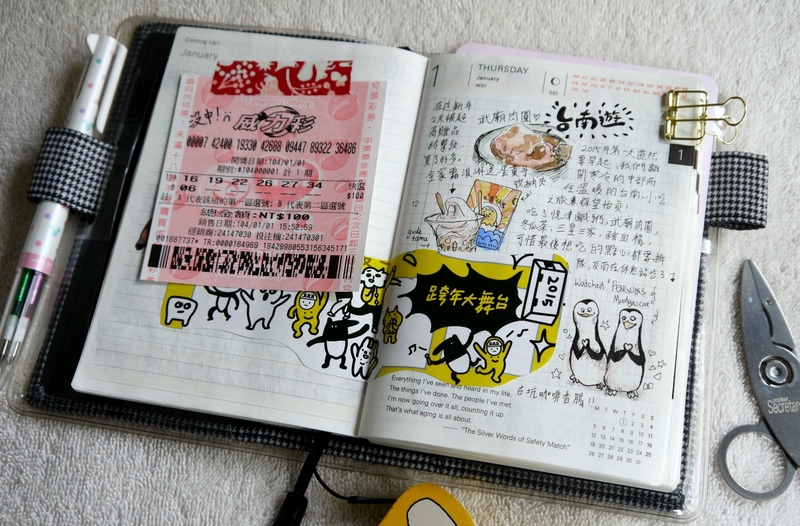 To recap, this is a A6 Hobonichi Techo English Planner. Although it lack the detailed timeline bar, the check boxes on top, and has a different type of format from the Japanese Techo version, I feel that this layout allows more blank spaces for writing and drawing. I wanted to start this year with a bang, so I figured I’d buy a lottery ticket to test my luck. Well, if I had won, this ticket won’t be stuck to this page now ;). I love cutting out cute pictures from beautiful brochures and flyers, especially in the city of Taipei where there are many artists showing off their trade. I came across doodle books by the way of online recommendations. I’m always interested in books that teaches art at book stores, and I’ve always love to watch art tutorials on youtube. Yet it is clear that you cannot improve if you don’t start drawing things yourself. Videos and books can teach you techniques of give you an idea of how to draw certain shapes, but to learn art, the best way is to pick up a pen and paper and start drawing. 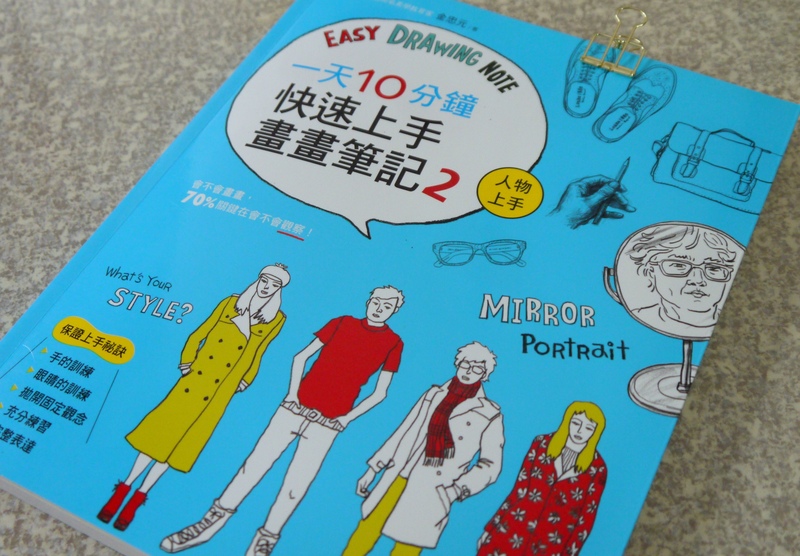 This is why I’m beginning my pursuit of drawing people through a series of exercise as guided by this book I found: Easy Drawing Note, 10 minute a day, learn to draw people. 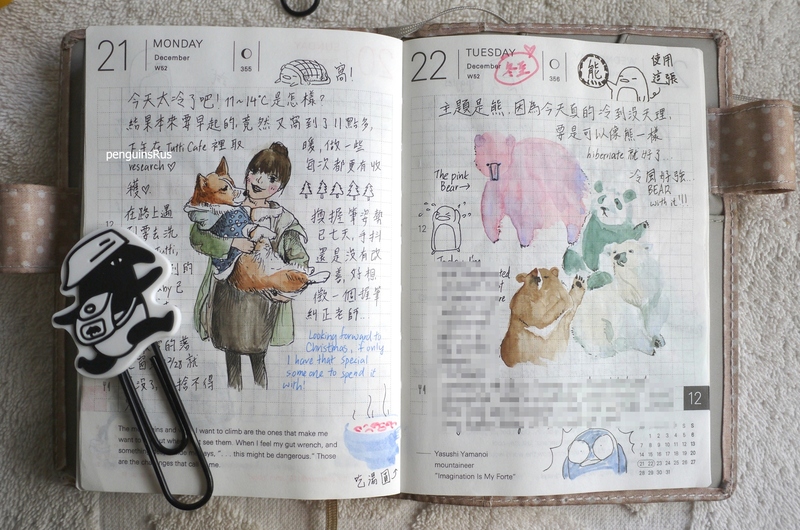 I got my hands on the Hobonichi Techo planner in November last year. It was the English planner, and its December pages actually start from the 24th. Of course I couldn’t wait to start using it already, so I skipped ahead and actually started using the 2016 December pages! I figure that I would have gotten a new planner during planner season (September – November) later this year, and it will all cycle out eventually. 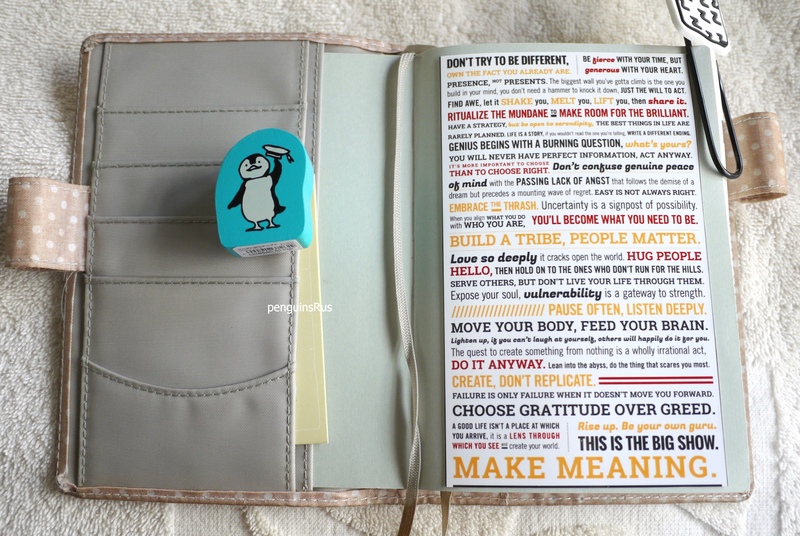 My hobonichi planner set-up includes a cover page that I put on the inside of the planner cover. This one is a collection of inspirational phrases that make up the Good Life Project Creed. For those who would like to know more, the author and host of this website Jonathan Fields hold talks and conversations with entrepreneurs and incredible people. I love watching his videos and listen to his podcasts. This creed really speaks to a lot of things in life that we face, and which inspires us to be amazing everyday. I would always flip to this cover page for daily inspiration. Many people probably have seen my unboxing of my Hobonichi Set up for 2015, but here it is again! This is my first online order via the Hobonichi Webshop. In this video, I also show some of my tools for journaling and the basic set up of my planner for the year. Hope this helps you in making your decision on whether to get a Hobonichi planner or not!